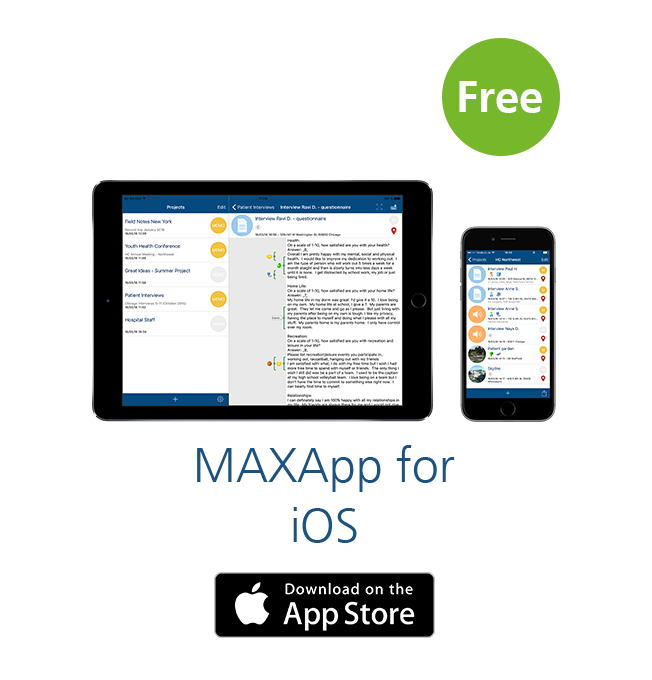 MAXApp for iOS is the ultimate MAXQDA companion for your iPad or iPhone! Perfect for field work, the app allows you to take notes, take or import photos and videos, and record audio. All of your data can easily be coded and structured in MAXApp and then imported to MAXQDA via Dropbox or iTunes. If you want to download MAXApp on your iPad or iPhone, just open the App Store on the device of your choosing. 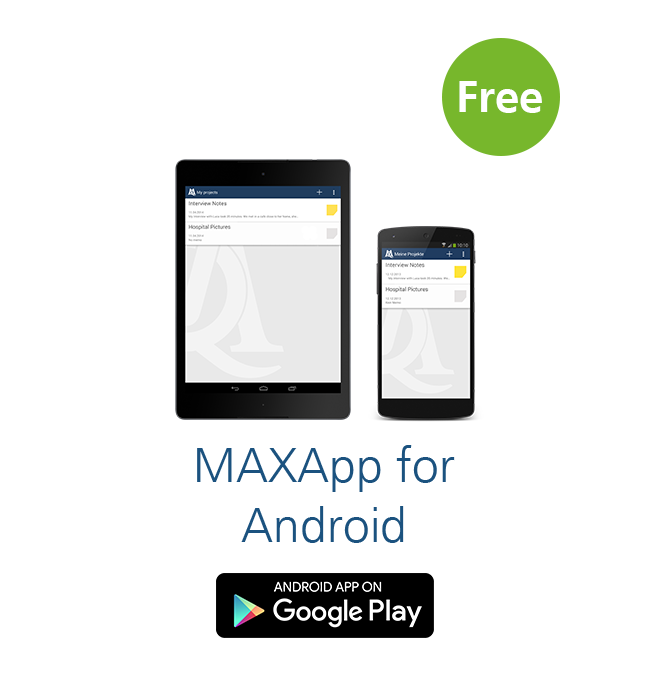 Click on the small magnifier in the bottom navigation and enter „maxapp – maxqda mobile app“ in the search box. You will be redirected to the download page. Just click open and MAXApp will be installed on your device.